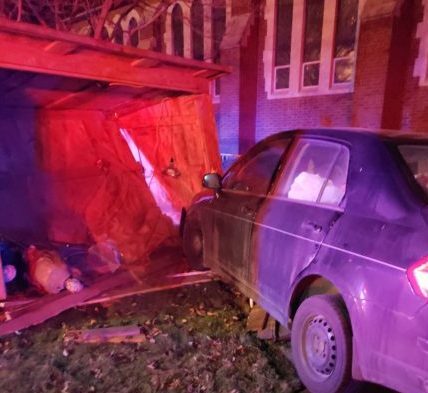 A local Christmas Nativity display was destroyed when a vehicle plowed into it during a crash this week in the city of Butler. Butler City Police say the two-vehicle collision happened Wednesday evening near the intersection of Washington and West Jefferson streets. According to officers, 45-year-old Heather Frederick of Slippery Rock and 31-year-old Travis Rattigan of Butler were both traveling west on Jefferson Street when Frederick made a left-hand turn from the right-hand lane, cutting off Rattigan. The crash forced Rattigan’s Nissan Versa into the Nativity scene that sat out-front of St. Mark’s Lutheran Church. Police say one passenger was taken to the hospital, but no one was seriously hurt.